We’re delighted to announce the publication of The Houses Along the Wall – A Pembrokeshire Poetry Cycle by Karen Hayes. Karen created this cycle of poems as a fictional social landscape inspired by a row of houses along the coastal wall at the Parrog, near the small town of Newport in Pembrokeshire. Each house appears in the poem with its actual name, whether in Welsh or English, but its history and inhabitants have been fictionalised and the details in the poems, although sometimes corresponding to a particular photograph or phrase, are entirely imaginary. 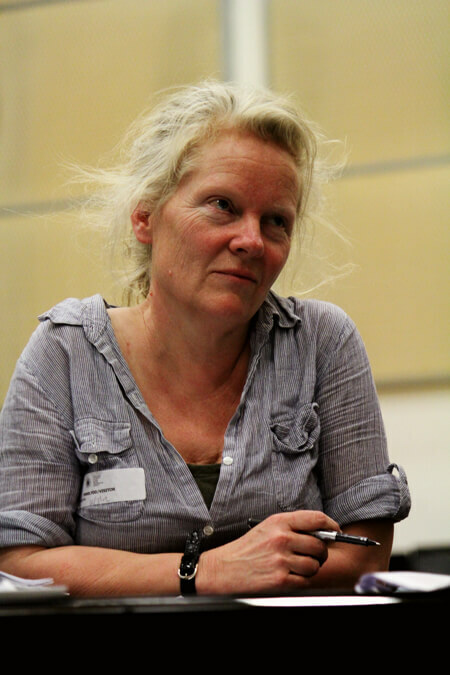 Karen Hayes spent the early part of her working life as an actor and musician and became an ensemble member and lyricist and later artistic director of the Bristol-based theatre collective Public Parts. From theatre she moved towards lyric and libretto writing and poetry and found herself creating verbatim texts with marginalised groups, most particularly with people living with dementia. In 2017, her poem The Belgians won the Foreign Voices competition. The Houses Along the Wall is her first full poetry collection. It will be published in September 2018. For advance review copies or more information please contact the publisher Bernadette Jansen op de Haar: bernadette@hollandparkpress.co.uk +44 (0) 77 926 11 929.